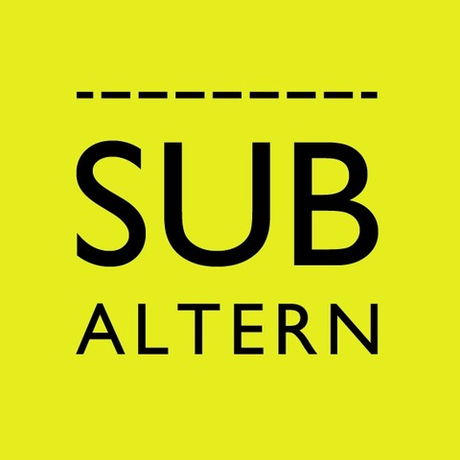 If you’ve passed through an institution of higher learning in the last twenty years, you twitch, almost imperceptibly, when you hear a word like “subaltern.” You do the same when upon hearing the terms “hegemony,” “rearticulation,” or “(dis)loc[a/u]tion.” You twitch because you remember feeling plunged into insoluble confusion, right where you sat in the lecture hall: you didn’t know whether to believe your professor was feeding you these whole verbal grapefruits in the good-faith service of important points, or whether they were just screwing with you. Maybe, as certain high-profile academics argue, their complicated arguments could only find honest expression in a vocabulary whose very comprehension demanded a mental struggle. But maybe, having themselves started out as wide-eyed undergraduates with an unquenchable love for novels or a pang in their hearts over the world’s injustices, these professors ultimately found themselves marooned in an academic hellscape of fear, insecurity, and obfuscatory self-justification. Maybe they knew only one way to rattle the bars of their cage: to make you share their painful bewilderment. Imagine my relief, then, to find that The Subaltern Podcast [RSS] [iTunes] comes not from a haunted-eyed lecturer but from a hard-tweeting novelist. This novelist, a certain Nikesh Shukla, seems to have written a book called Coconut Unlimited, about some young British Indians who form a collectively inept hip-hop trio. I would like to read this book, just as I would like to read the many hundreds of other books that new writers all over the Anglosphere (and, in translation, beyond) are putting out as we speak. But how to choose where to begin? Even the most dedicated readers suffer under the burden of many, many thousands of exciting novels they could never hope to live long enough to crack, and that doesn’t even include the countless undoubtedly brilliant ones to be published over the rest of their lifetimes. This problem surely weighs even heavier on Shukla and his Subaltern interviewees, all reasonably young writers who must compete against every novel ever written for vanishingly scarce readerly attention. I downloaded all of Shukla’s pub-, hotel room-, and Skype-recorded conversations after getting word that he’d interviewed Cole, whose debut novel Open City caught my eye last year. Random House, as Cole tells Shukla, mounted a strong media strategy for the book, which culminated in a capture of that literary golden calf, a review from the New Yorker’s James Wood. Referencing diaristic prose, Iain Sinclair, urban internationalism, unjudging gazes, and W.G. Sebald, this article fired me up in a way that nothing about any new novel has done in years. This led me to Cole’s Twitter feed, an exercise in reinterpreting the “small fates” described in the newspapers of modern Nigeria and old New York, which led me to The Subaltern. My collected knowledge of Cole and his work enriched the listening experience — even the parts of it mainly about Mos Def. Alas, my lack of knowledge of many of the others on Shukla’s guest list might have hurt my listening experience. I come away from these interviews having gotten all sorts of vibes of irreverence and intellectual energy, but also regretting that I hadn’t spent time familiarizing myself in advance with whatever it is they actually, y’know, write. Even without laying the usual explanatory groundwork, Shukla draws out many an insight into their writing processes and the cultural pursuits — zombies, viral videos R. Kelly — that drive them. And hey, this is, after all, The Subaltern, whose site defines that term as “persons socially, politically and geographically outside the hegemonic power structure.” I should accept, amid my twitching, that I’ll occasionally have to do my own research. Or maybe I’ll have to stop doing most of my listening while riding tipsily home on the Blue Line. One night, I looked across the aisle and noticed another fellow, also with headphones in, and what was he reading but Open City. Even I haven’t gotten around to that!